Do you know about Bottlenotes? It’s an online wine social media community, and totally unpretentious. Here you can share your own tasting notes, learn about and buy wine. They have a well-edited selection in their wine portfolio. You can also get The Daily Sip, the wine equivalent of Daily Candy. Bottlenotes also organizes wine tasting events, where you can meet up with other members and taste and talk about wine (yes in person!). Called Around the World in 80 Sips, it’s a great opportunity to taste wines you may not ever come across — like a passionfruit wine from Thailand. 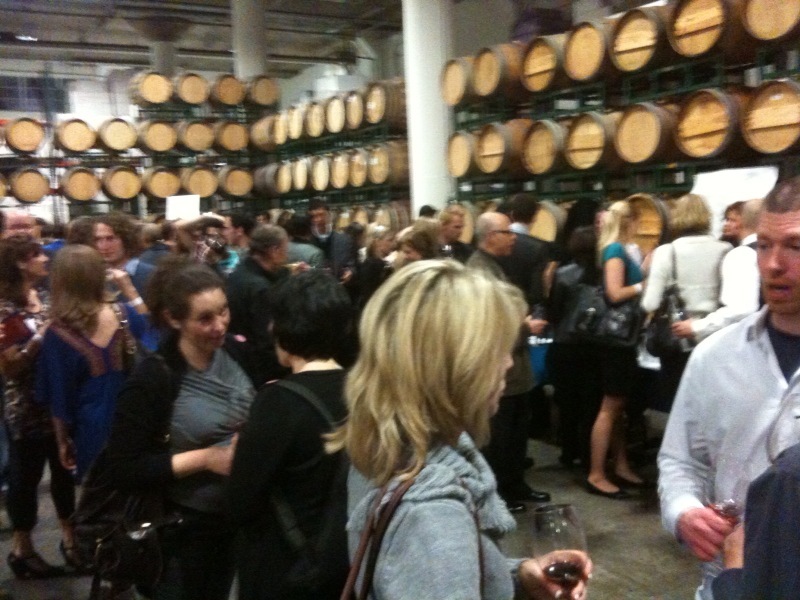 This event was held at Crushpad, the custom crush facility in San Francisco. Crushpad is relocating to Napa Valley, so this was probably my last time for visiting the city location. The tasting takes place amid all the barrels of wine aging. 2008 Tierra Secreta Malbec – really smooth! 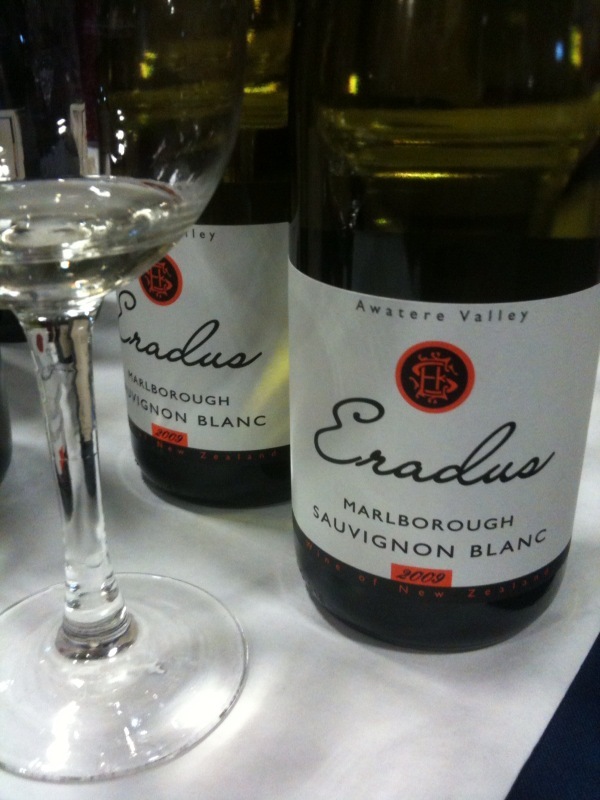 2009 Eradus Sauvignon Blanc, New Zealand – this was one of the best SB there. Classic New Zealand, gooseberry with good acidity. Radee Passionfruit NV and Pineapple Ambrosia NV – both from Thailand. I preferred the Passionfruit which had true fruit varietal character. The Pineapple was not as sweet as some Hawaiian wines that I’ve had. 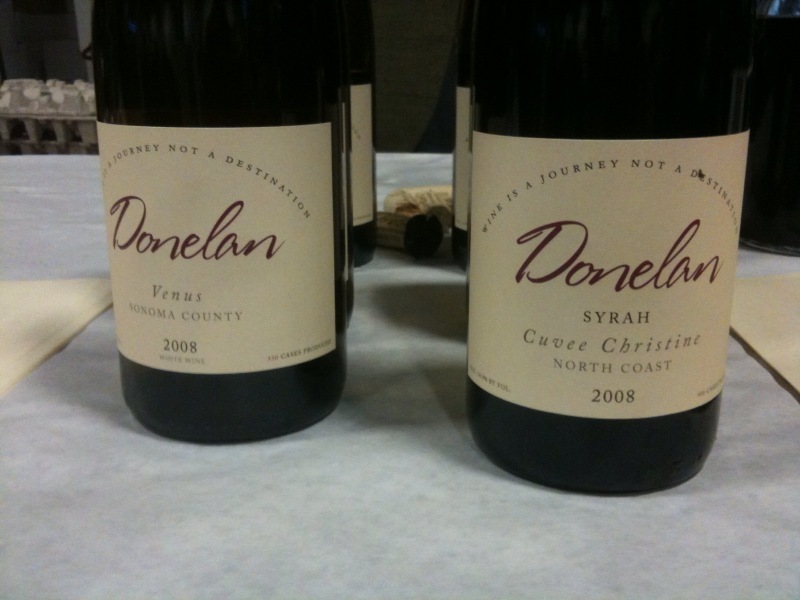 2008 Donelan Venus Rousanne/Viognier and 2008 Donelan Cuvee Christine Syrah – if you were a fan of the Pax Syrahs, the new owners are carrying on the Pax style. This is the first vintage from Donelan Family Wines and it’s darn good. Prices are a little easier on the wallet too, at $45. The Rousanne/Viognier is lush and well-balanced; the Syrah is smoky and meaty. Scholium Project. 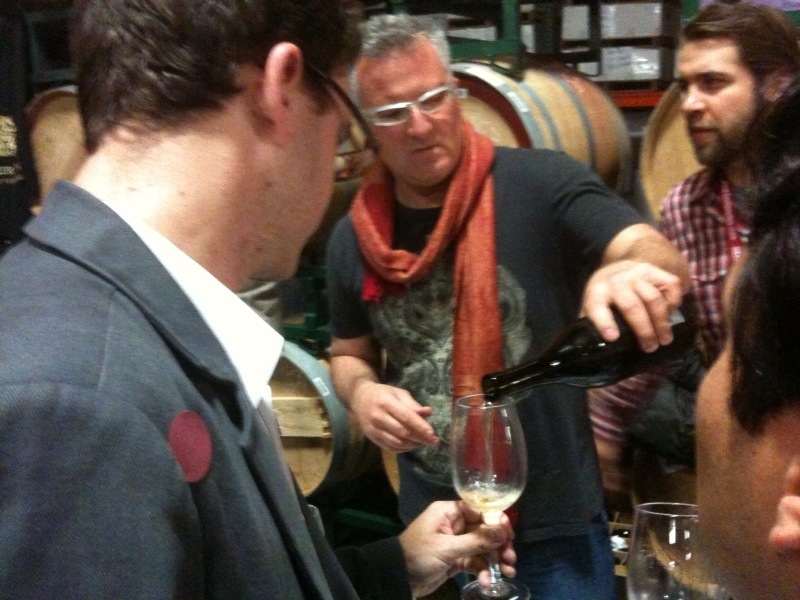 I’ve read lots about Scholium and winemaker Abe Schoener and his unconventional approach to winemaking. But I’ve never tasted them until now, and I totally get what all the fuss is about. The 2008 Naucratis Lost SloughVineyard is made of 100% Verdelho, and has lots of good acidity and round fruit. The 2007 Choephoroi , another white, is completely different and very unusual for a Chardonnay. The 2006 Tenbrink Vineyard Gardens of Babylon is primarily Petite Sirah. All soulful wines. Skipstone wines were also there – and I’ve written about their wines before. Two bottlings; the 2007 Viognier, is one of the best made in California. Has all the wonderful peach and nectarine flavors. The 2006 Cabernet Sauvignon is powerful without being agressive. The layers of flavor linger a long time.